I think it’s pretty darn wonderful. 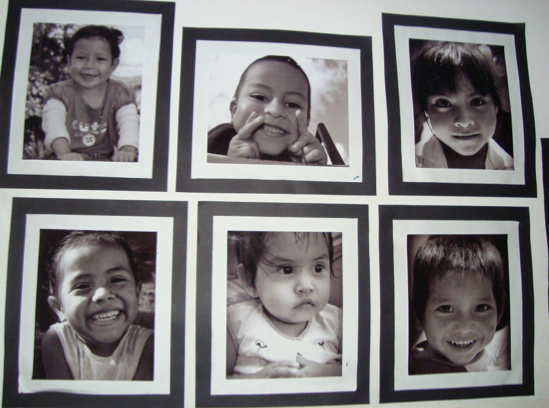 The least fortunate kids in Honduran society have a tremendous environment to be nurtured in. 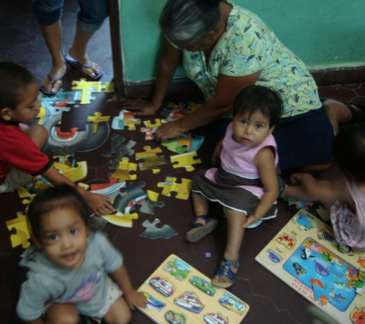 Their moms… in some of the worst of all possible life situations, have a safe and nurturing environment for their kids as well as providing programs for their own personal development. I can remember when I was asking Emily how to describe the place. Day Care simply didn’t cover it. I still refer to it as the Day Care/Family support centre. I’ll have to ask her how she describes it. 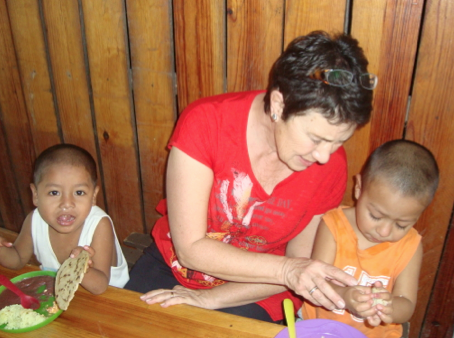 Emily’s philosophy of caring for the whole family and providing an educationally rich and loving environment for the children is evident in their programs and space. 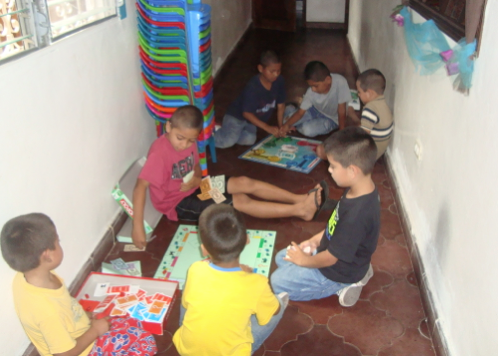 The older kids play Monopoly, Sorry and Candyland. 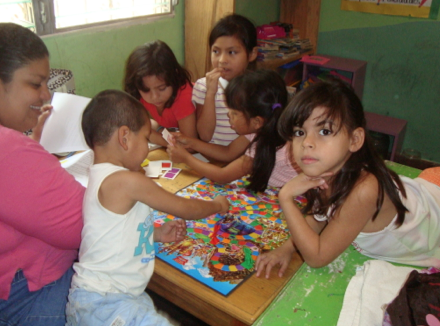 The little kids do puzzles. And then there is lunch. 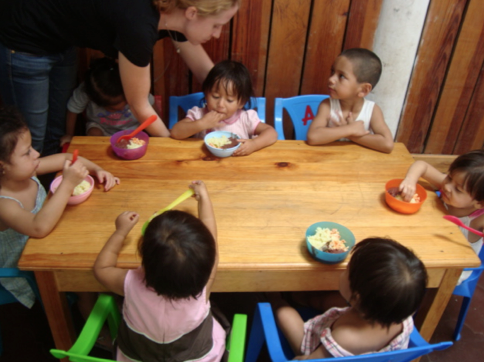 The kids are provided with balanced, nutritional meals and snacks. I tried to help a little by keeping these two little guys from “distracting” each other. Thanks being given………for the food. 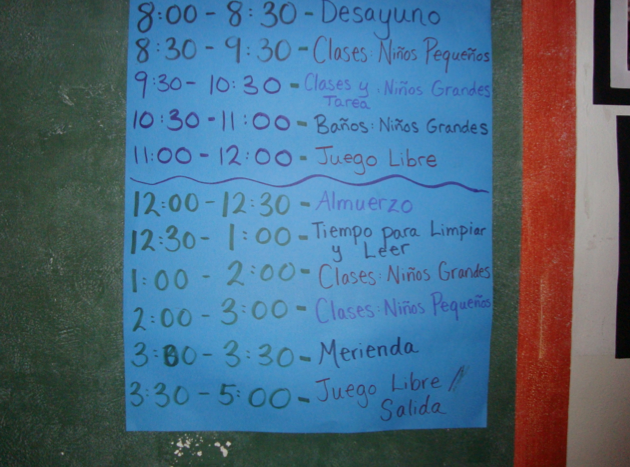 But these families have much to be thankful for… Casita Copan, their staff, their programs and their caring. For some, this is pretty much their food for the day. 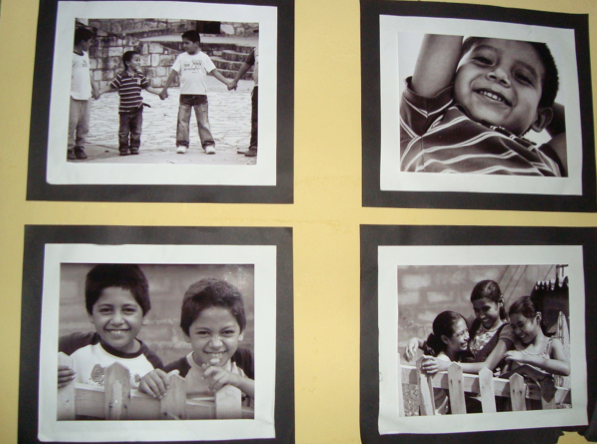 The hallway has wonderful photos of the kids done by Carolina Sandoval. 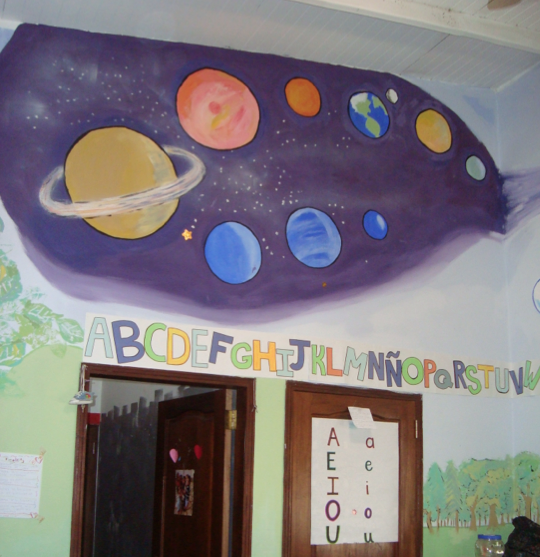 The Centre’s rooms speak to their focus on providing a wealth of learning and play. 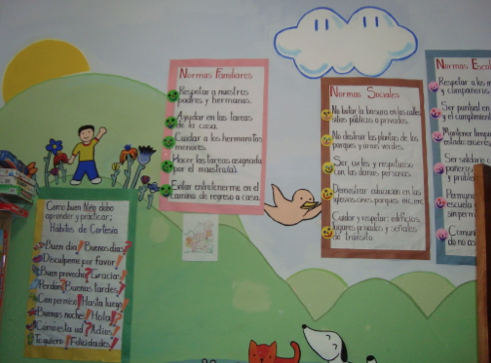 This entry was posted on Wednesday, December 4th, 2013 at 7:08 am	and is filed under Copan Ruinas. You can follow any responses to this entry through the RSS 2.0 feed. You can leave a response, or trackback from your own site.